When your kids spend every free minute in winter outdoors, they need a boot they can rely on to keep them warm. 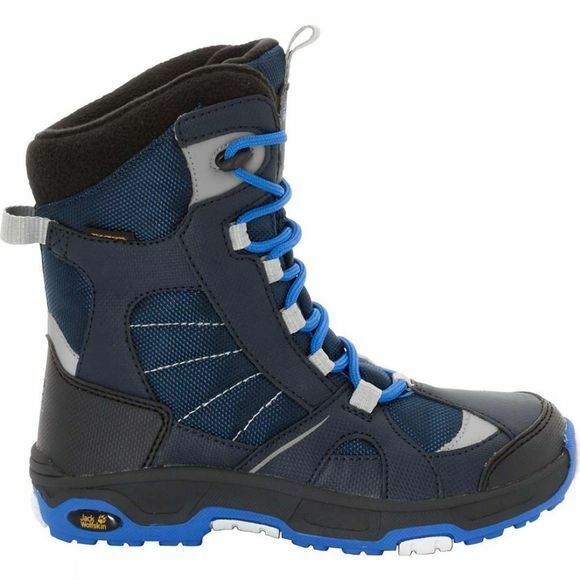 The Boys Snow Ride Texapore Boot from Jack Wolfskin does exactly that. A membrane makes boot waterproof and keeps it breathable. The fit can be adjusted using the child-friendly lacing system. The high upper supports the foot well and is robust enough to cope with harsh treatment. The special winter outsole provides good grip on ice and snow. For insulation, opted for a synthetic wool lining that's designed to keep the foot warm.